Now Austin Marathi Shala App is available for Android users on GooglePlay Store! 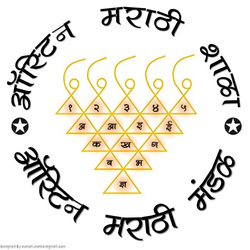 Austin Marathi Shala is a project of Austin Marathi Mandal (AMM) initiated by Bruhan Maharastra Mandal of North America (BMM). Austin Marathi Shala is a non-profit school affiliated with Austin Marathi Mandal. This school is solely run by volunteers. The purpose of Austin Marathi Shala is to teach Marathi culture and Marathi language to next generation. The aim of the Marathi Shala is to empower children with the ability to read, write and communicate in Marathi. These children also gets exposure to Marathi Culture by learning about and celebrating different traditions at school. Students get opportunity to showcase their newly acquired language skill during various AMM programs (such as Ganapati) and also during end of end-semester celebrations. Other things that will be covered are: shlok, kavita, drawing, craft work, etc. 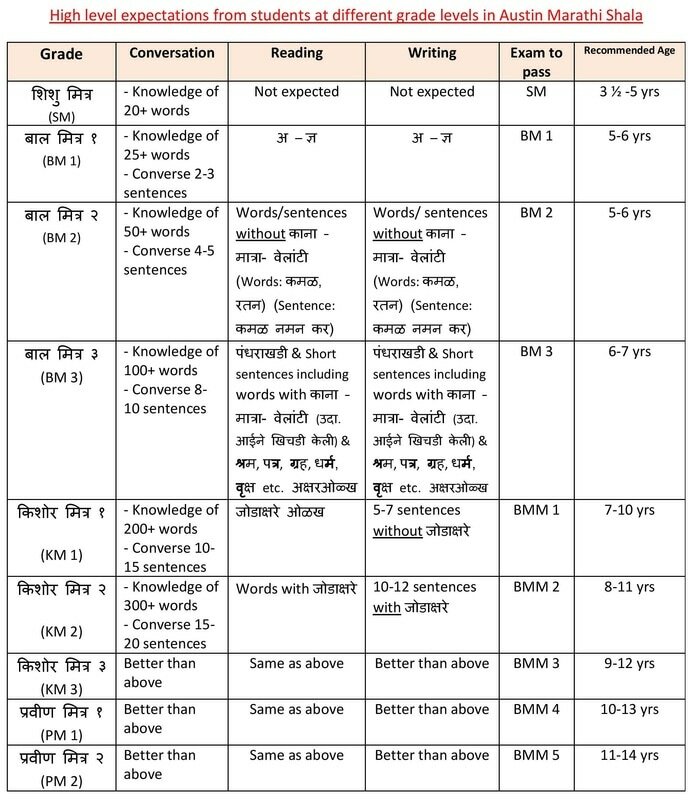 Note : BMM emphasizes more on 'conversation' than 'on reading and writing (60:40), thus it is important that a student communicates well in Marathi. Only way for parents to achieve this goal is by communicating with your kids in Marathi and encourage him/her to communicate back in Marathi. AMS Teacher Allocation Guidelines : BM1 : One Teacher for every 4-5 kids & All Other Classes: One Teacher per class. You should be AMM Family member if you are planning to send your kid(s) to 'Austin Marathi Shala'. If you are not a member, please visit the Membership section to buy membership. There is no additional registration fee. Marathi Shala operates in accordance with the local school district calendar.